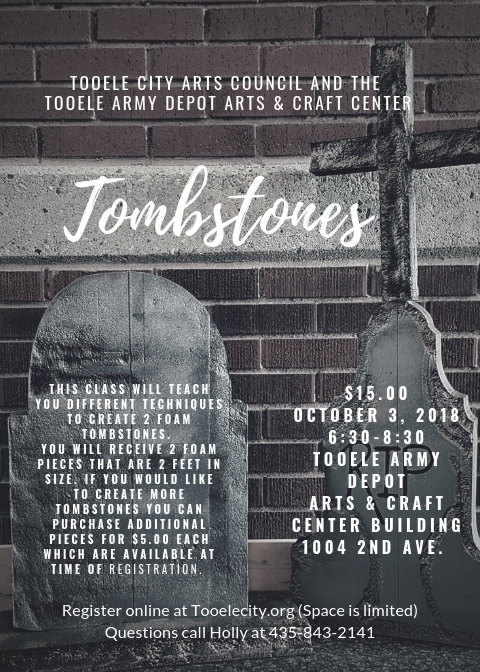 Join the Tooele City Arts Council to learn different techniques to create 2 foam tombstones. You will receive 2 foam pieces that are 2 feet in size. If you would like to create more tombstones you can purchase additional pieces for $5.00 each which are available at time of registration.